Yevhen Seleznev, the Ukrainian forward, the member of Ukraine's national football team has signed the deal with Spain's Malaga CF. The Spanish club's official website reported that on Thursday. The player spent the first half of the season in Akhisar, in Turkey; Seleznev scored 4 goals in 11 games. Galatasaray also wanted to sign in with the Ukrainian but he eventually chose Malaga. Odds are Seleznev will compete with Gustavo Blanco-Leshchuk for the place in the starting eleven. Malaga is now coming fourth in the tournament ranking. According to Sixteen Football Agency, the current agreement between Malaga and Seleznev is accounted for two and a half years. 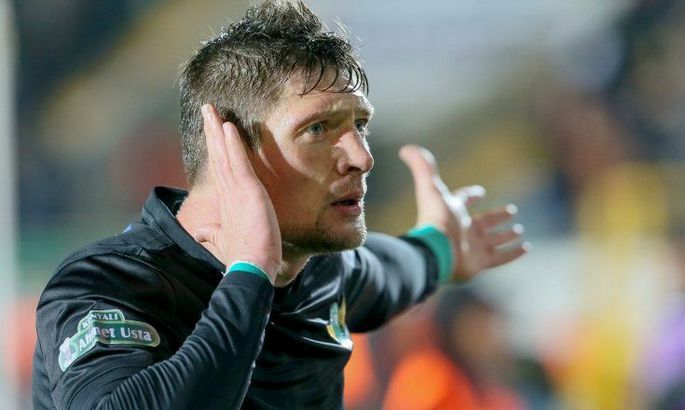 Last year, the Ukrainian left Karabyukspor to join Akhisar. He's been playing in Turkey since winter 2016. Prior to that, Seleznev successfully played for Shakhtar Donetsk and Dnipro FC.